The installment of #TheList series continues with our in-house selection of The 10 Hottest Producers in Nigeria 2015. The list showcases the geniuses behind the biggest hit songs outta Naija in the last 12-15 months, and celebrates their achievements by outlining their great productions over this period. 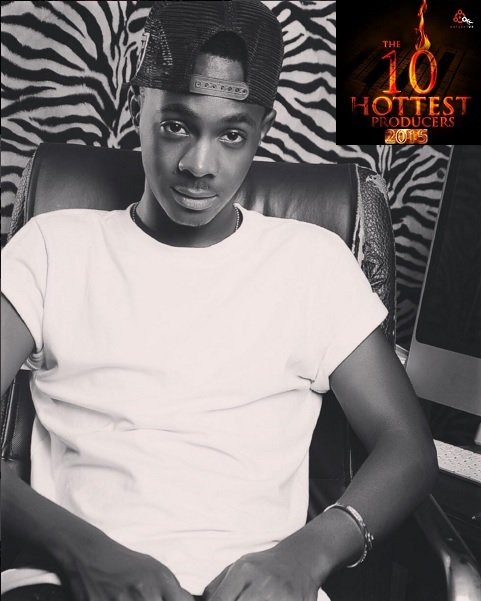 Without wasting much time, here are The 10 Hottest Producers In Nigeria 2015, as compiled by the notjustOk Team. If you are a frequent listener of good music, you must have heard the popular “Ki-ki-ki-Kiddominant” chant by Alhaji Orezi himself in most of his songs. Over the past 12-15 months, Kiddominant has been very consistent with his type of production, and has quite a few hits to his name. He laced virtually all the tracks on Orezi’s “The Gehn Gehn” album, and scored madd points with the most recent back-to-back smash hits from Davido, “DODO“ and “The Money“, amongst others. “It’s LeriQ, call the paramedic“. If you want some real hip-hop and inter-galactic-sounding instrumentation, then LeriQ should be your one-stop shop. His sounds are quite abstract, in a great way, and very interesting to listen to. He can also come down to earth with some of the Afro pop sounds we absolutely love to dance to in the club. Songs like “Say You Love Me” featuring Wizkid, Burna Boy’s “Rockstar“, “Wishlist” featuring Wande Coal, and more recently, “I Like It” featuring Shaydee, highlight just how talented he is. In 2015, LeriQ signed a major deal with Sony Music Africa and also released a masterpiece of an album, “The Lost Sounds” not long after. Shizzi is unarguably one of the best producers in Africa as a whole because this man right here steadily cooks up monster hit beats time and time again, particularly for his friend and partner in crime – Davido. Even when he does produce for other artists, he doesn’t fail to deliver the same high-fidelity and speaker tearing beats to set them on a path to stardom instantly. Shizzi may have dipped from #2 on the 2014 Hottest Producers In Nigeria list to #8 this year, but that’s not due to a drop in quality. He still scored production credits on Runtown‘s “Baby Answer“, Wande Coal & Skuki‘s “Aye Dun“, Davido x Dammy Krane“IZZUE“, and arguably the biggest Nigerian/American collaboration of the year, “Fans Mi“, by Davido and Meek Mill. The phrase –“Pheelz Mr. Producer”, should be quite familiar to you by now if you are a regular listener of Nigerian music. Pheelz drops down a notch from #6 on last year’s list to #7 this year. That shows a level of consistency only matched by maybe 1 or 2 others. The YBNL producer has been on an unstoppable streak in the past 15 months, dishing out hits upon hits upon hits! Olamide‘s “Lagos Boys“, “Matters Arising“, co-production with Young John on Lil Kesh‘s “Is It Because I Love You?” DJ Neptune featuring Olamide, BOJ, Stonebwoy “Baddest“, just to mention a few. The widespread acceptance of Olamide’s latest album – “Eyan Mayweather” is a testament to Pheelz’ unrivaled production skills. 16 out of 21 tracks off the album were produced exclusively by Pheelz, and every one of them came through massively. Masterkraft is one of the hardest working producers out there. You can tell from his studio sessions that he absolutely enjoys the creative process, and has a knack for constantly delivering beats that make songs top charts for weeks on end. On last year’s list, Masterkraft was among the “worthy mentions“. However, this year, Masterkraft makes a huge jump to the #6 position with hits ranging from Flavour and Wande Coal’s “Wake Up (Ololo)“, “Baby Jollof“ by Solid Star featuring Tiwa Savage, to one of the biggest hits of this year – “Indomie“ by himself (Masterkraft) featuring CDQand Olamide. His most recent work “Finally“ featuring the 3rd Hottest Rapper In Africa 2015 –Sarkodie, alongside Flavour, is also another masterpiece of a song in itself. Meet the London-based, Star Boy-signed super producer, Maleek Berry. Maleek Berry had a relatively quiet 2014 considering how quickly he climbed up the food chain with hits like “The Matter” the year before. However, in 2015, he turned it back up several notches. Over the past 15 months, Maleek Berry has dropped personal songs that display his production and quite impressive singing skill-set as well. He has also worked on several singles for other artists, and has been a major part of some of the biggest albums out this year. He produced 9 songs on the recently released Wande Coal album ‘Wanted‘, and laced 5 tracks on Runtown‘s ‘Ghetto University‘ album. Songs likeIyanya‘s “Finito” , “Nonso“ by D’Prince, “LEYLA” (Remix) by Angel featuring Fuse ODG,Seyi Shay, Wande Coal, “One Life“ featuring Wizkid, “Ati Dé” by Naeto C are fan favourites. 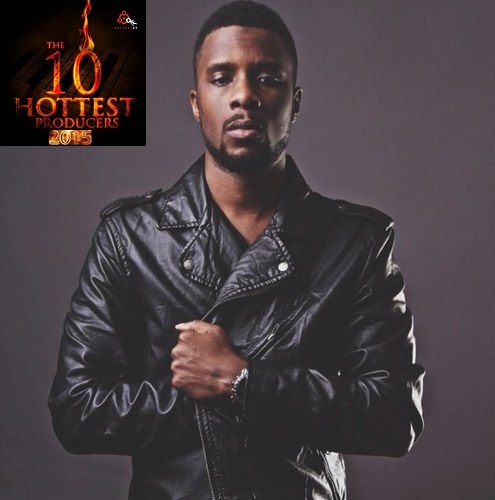 Overall, it’s quite an impressive climb up #TheList for Maleek Berry considering the fact that he was among the “Worthy Mentions” in 2014. I foresee an even bigger 2016 for Mr Berry. Star Boy’s super-producer duo – Legendury Beatz moves down #TheList by just one position this year. A clear sign that they’ve been relatively consistent. One is left to wonder if they knew what they were up to when they created the modern-day Afrobeat classic – “Ojuelegba” by Wizkid, which later became a monstrosity of a hit after Canadian rapper Drake and UK superstar of Nigerian descent, Skepta, surprisingly jumped on it and made a remix. The song became so big, other American superstars were either Dancing to it and posting their Videos on the internet or talking about how Wizkid was their Favorite act in Africa. All that Wizkid glory wouldn’t have been possible without this superstar duo. Other productions like Seyi Shay’s “Crazy“, “Ojé” (featuring Wizkid), L.A.X‘s “Fine Boy” (featuringOlamide) make Legendury Beatz stand firm at the top of the production food chain in our music industry. There is no controversy whatsoever or dispute when we say Don Jazzy has been the most consistent hit maker in Nigeria and the entire African continent for the past decade. He has been very instrumental in sky-rocketing the Mavin “Triplets” – Reekado Banks,Korede Bello, and Di’Ja – and other artists he’s worked with in the industry to instant fame with his magic fingers. Jazzy steadily unveils new and mind-blowing production techniques that will get your head nodding uncontrollably and your feet moving instantaneously; you just can’t help it. 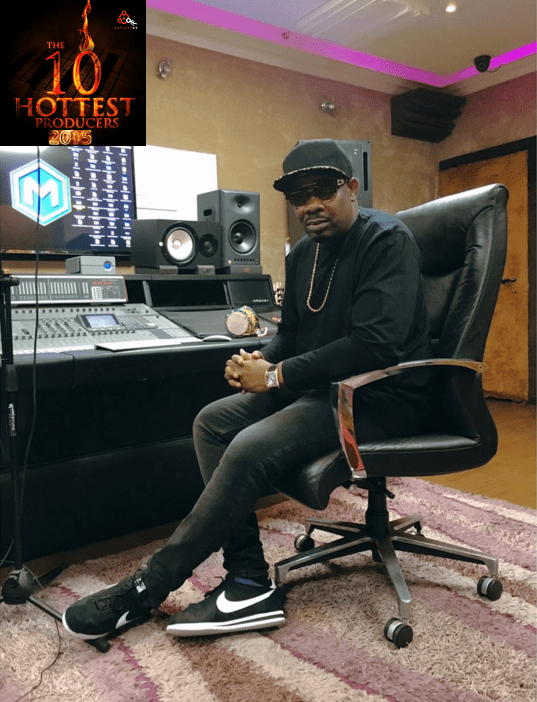 Furthermore, Don Jazzy is more than your regular music producer; he is a an epitome of vision, enterprise and innovation – the reason why his team (Mavin Records) is the biggest and brightest in Nigeria. The value he adds to the creative process of making music is outstanding. Check out his accolade of productions: Korede Bello‘s smash hit “Godwin“, D’Prince – “OYO“, “Oga Titus“, “Adaobi“, “Looku Looku“. We could go on and on about the extraordinarily talented Don Jazzy but there isn’t enough time. Don Jazzy is simply… well… Don Jazzy. Young John (The Wicked Producer) has had a very great year in terms of music production achievement. He created arguably the biggest song of 2015 – “BOBO” by YBNL Boss Olamide (Baddo) which went on to break all manner of records/awards, and put the entire music industry on a “Shakitibobo” dance frenzy for months. 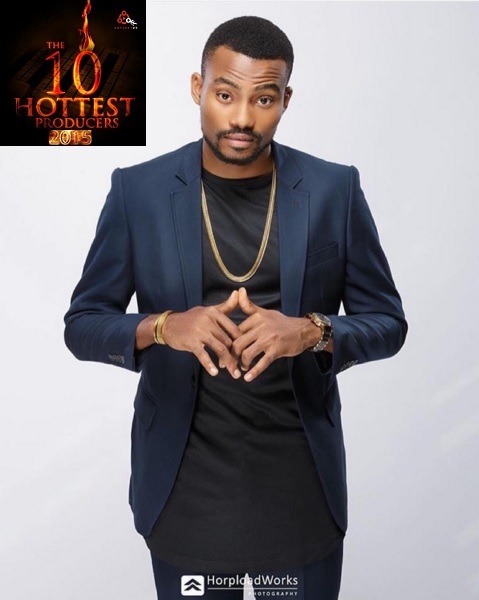 Other hits credited to Young John include: “Gbese” and “Efejoku” by Lil Kesh, “Confam Ni” – Olamide ft. Wizkid, “Is It because I Love You” co-produced by Pheelz for Lil Kesh, “Ladi” by Olamide, Phyno and Lil Kesh, and other smash hit singles too numerous to count. In truth, it was more or less a coin toss between #1 and #2 for the Hit Factory Studio producer. Congratulations! It is quite safe to say that the go-to producer for Made Men Music Group – DJ Coublon – outdid himself within the last 15 months. The highly-rated beatmaker started little, and was relatively unknown by most industry professionals until he started churning out masterpieces. It didn’t take long before everyone noticed the new wave in music production slowly sweeping across the landscape. It started with the unleashing of Kiss Daniel‘s – “WOJU” in the last quarter of 2014. 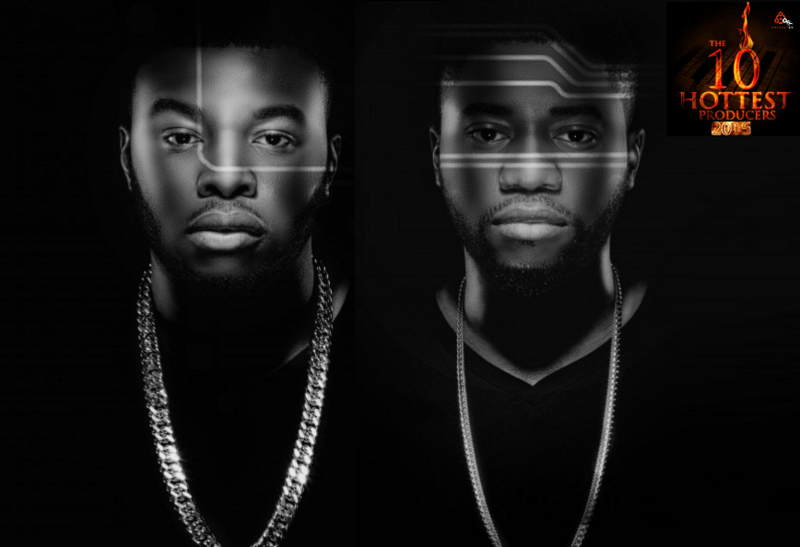 Woju became so huge that its reign spilled into 2015 with the colossal remix which featured Davido and Tiwa Savage. From then on, there was no stopping DJ Coublon, as he steadily started turning already made superstars into Mega superstars, and turning newbies in the industry into superstars. From Iyanya‘s “Applaudise” to Kiss Daniel’s “Laye” and “Good Time“, Tekno’s “Duro” and “Wash“, and many other production credits out there, it’s obvious this man is winning. ” I feel @DJCoublon deserves Producer of the Year Award, because he was the only upcoming producer who blew an upcoming artist @iamkissdaniel” –@whalesclark. This fan probably saw into the future because his statement has come true – at least according to us over here at NotjustOk. With all these obvious facts in mind, it’s quite clear that DJ Coublon is The Hottest Producer In Nigeria for the year 2015!